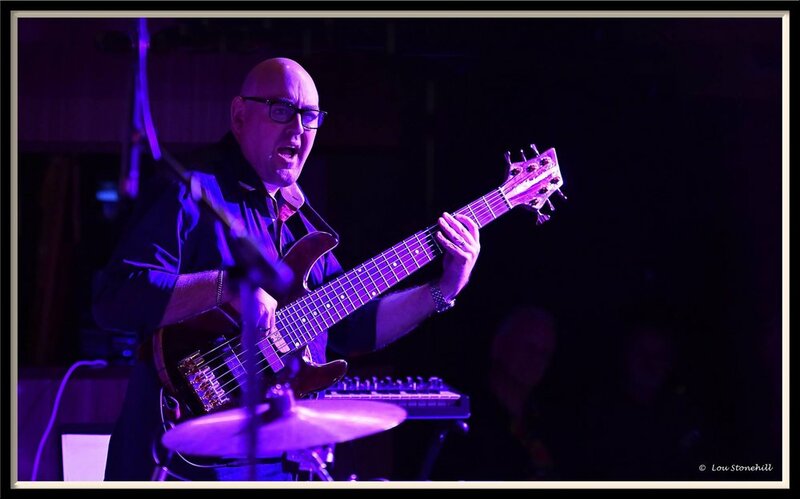 The Simon Goulding signature 6 string bass is made by master luthier Tito Dalmedo at Dalmedo Custom Guitars, Preston, Lancashire UK. 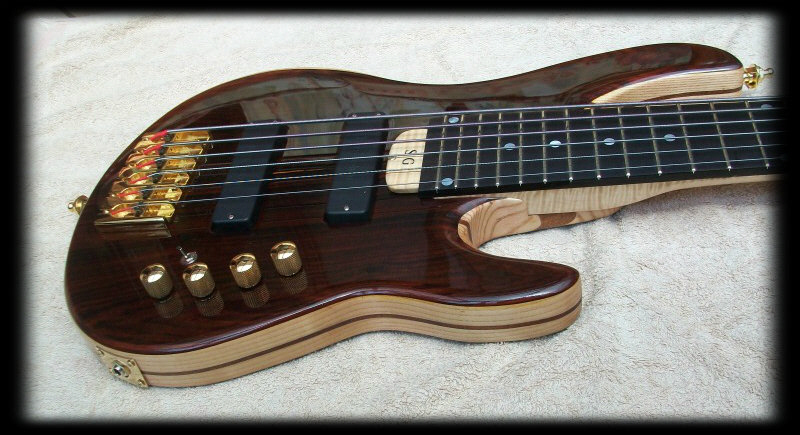 The bass is a multi laminate body and bolt on neck 100% handcrafted using some of the finest tone woods in the world. Sourced from Spain, Madagascar, Canada, Brazil, Cuba and the USA. Here are the unique specs developed by Tito and Simon himself. Body: Multi Laminate Ash & Mahogany with AAAA Cocobolo top and back. Neck: AAAA 7 piece flamed maple with French walnut pinstripes. Frets: Jim Dunlop stainless steel. Pick ups: Bartolini P6 quad coil humbuckers. Preamp: Aguilar OBP2-TK 18 volt active preamp. Master volume, pick up pan, treble, bass. Cocobolo battery and electronics cavity covers.